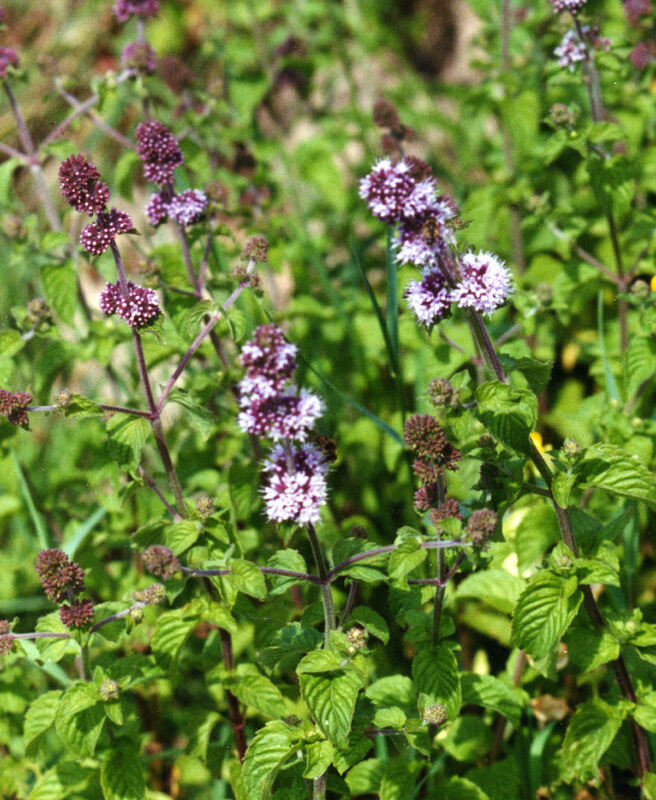 Mentha aquatilis. Grows in the margins of the pond. Lovely mint scented leaves and pink flowers that butterflies and bees love in late summer. 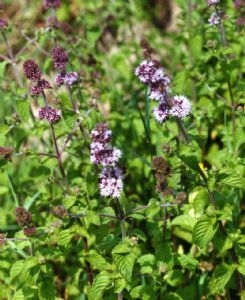 Can be invasive in the pond, but not as much as garden mint as it doesn't like spreading outside it's damp comfort zone.